The beautiful aroma of Jasmine relaxes and stimulates the senses, which is why it is so revered as an aphrodisiac; it creates a sense of peace and serenity that helps to release sexual hang-ups, thereby allowing sexual energies to be released naturally. 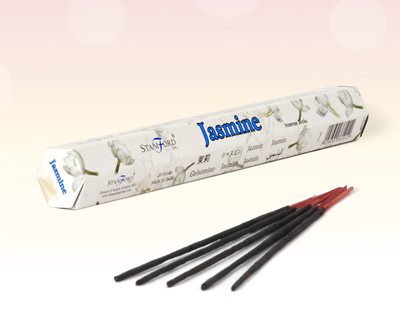 In aromatherapy, jasmine is used to boost self-confidence and instil strength to those suffering from doubt and fear. It is also used to promote relaxation and restful sleep. Research conducted in 2002 at the Wheeling Jesuit University in West Virginia, USA, discovered that that jasmine oil is a powerful relaxant that helps to combat insomnia. Let Jasmine's fragrance transport you to an exotic place where calm and stillness reigns. Truly wonderful to use whilst unwinding in the bath or with a loved one.